Golf Clubs are not required. There will be golf clubs available on site for your junior to use. If you do have clubs, please bring them along. Learning to play with your own set can be a great advantage! Register online by clicking the “Register” tab at the top of the website, then select the button of the session you would like to register for and follow the instructions there. Online registrations will require payment with a credit card. If you prefer to pay with cash or check, you can go to the Hancock Golf Course pro shop to fill out a hard copy of the registration form and medical release. Once you have completed the forms, you can turn them in to the pro shop along with your payment. Can my child go with his/her friends? Of Course! During the registration process, be sure and make a note of who you would like your child to be paired up with during the Academy. We will need first and last names of friends. The maximum number of kids in a group is 6. Where do I go to drop off/pick up? Juniors between the ages of 8-13 years old can be dropped off and picked up at the “upper” portion of the property located up the hill near the golf pro shop entrance. Juniors between to ages of 5-8 can be dropped off and picked up at the “lower” portion of the property located at the bottom of the hill on 41st street between Peck and Red River Streets. Please arrive 15 mins early each day of the Academy to get your child set for the day and please arrive no later than 11:45AM for pick up. If your junior has golf clubs, please bring them along so they can learn skills with their own set. Clubs are not required as there will be clubs at the academy to use. Each junior golfer will receive a backpack on the first day of golf academy. Feel free to pack it full of snacks, sunscreen, water or anything else your child may need. There will also be a snack trailer on site where kids can buy their own snacks, candy, water or sodas. The snack trailer accepts cash only. Wear comfortable, athletic clothing that they can move around comfortably in and tennis shoes. Please no flip flops or sandals. 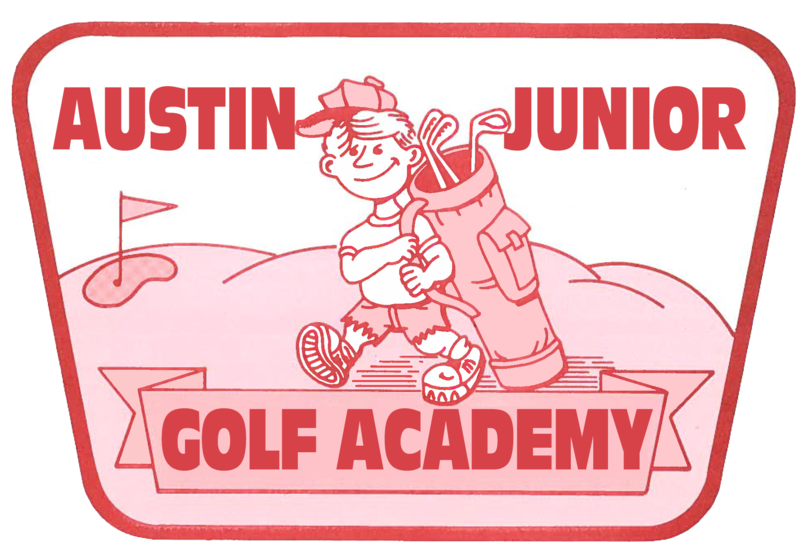 Each junior golfer will receive an Austin Junior Golf Academy t-shirt on the first day of camp. Wear that anytime! What’s next for my child to keep playing golf? The City of Austin has programs to keep your junior golfer playing all summer long. Join us for one day clinics or come play in our Summer Junior Tour and experience playing golf in a tournament setting! Are scholarships available for the Academy? Yes, scholarships are available on a limited basis and are awarded solely on need. If there are more applicants than scholarships available, names will be randomly selected. All scholarship applications are due April 30th, 2019.